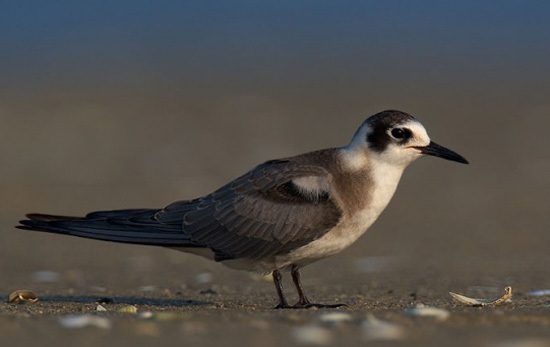 Black Tern: Nests across northern U.S. and southern Canada; spends winters in South America. Preferred habitats include lakes, ponds, marshes, and coastal areas. The Black Tern is very social. It breeds in loose colonies and usually forages, roosts, and migrates in flocks of a few to more than 100 birds, occasionally up to tens of thousands. The male performs a display flight where he carries a small fish or dragonfly in view of potential mates. A female that accepts the invitation follows him to a perch where he feeds her the prize. 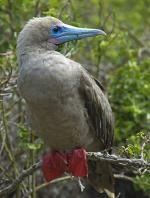 They are semi-colonial nesters and only defend a small territory a few feet around the nest. Nests may be as close as 1 yard apart, but more typically they are 15 to 60 feet apart, in clusters of 10 to 50 nests. A group of terns are collectively known as a "ternery" or a "U" of terns.